Badgers shooting 21% from the floor. UW offense has the aesthetic beauty of a granite quarry. Nice ball movement to Brown who picks up the foul. Vitto Brown really struggling for Wisconsin. Has 6 rebounds, but 0-for-7 from the floor and made two turnovers in three possessions. Brown 1-2 on FTs. If UW is going to shoot 20% from the floor, they're going to need to pick up the scoring from the line. #Badgers down, 35-30, with 7:47 left. Only salvation for UW is that it is in bonus. 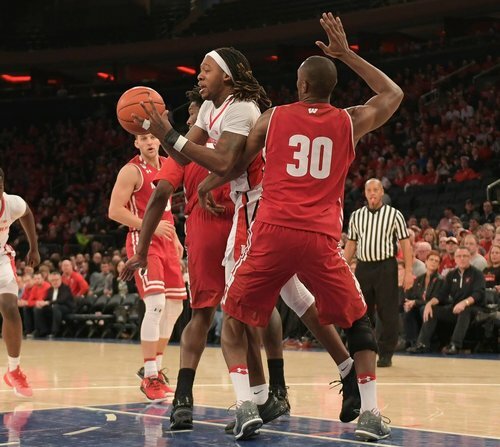 If #Badgers lose today, will they lobby league to move 2018 B1G tourney out of NYC? Let's get a run going. Stick with us #Badgers fans. Rutgers up 35-30 with 7:47 left. UW's scoring distribution right now: 12 points on FTs, 12 on 2-point shots, 6 on 3-point shots. Lost in all this: RU is shooting 36% themselves. Badgers D keeping them in the game. #Badgers up to 13 turnovers. Third consecutive game in double figures. Hayes, Koenig, Brown are a combined 1-21. 15 minutes to go in the second half. Ethan Happ is UW's highest scorer this half with 4 points. Pritzl coming in with UW down 37-30, 4:34 left. Brevin Pritzl checks back in. Happ's basket ends a 7:19 FG drought. That last sequence shows how passive UW offense has been all game. Have really picked up the pace in the past two minutes. Ethan Happ grabs an offensive board and gets the putback to go. C'mon, #Badgers ! Ethan Happ keeping the #Badgers in this one with a game-high 17 points. Nigel Hayes is 0 for 5 from the field. 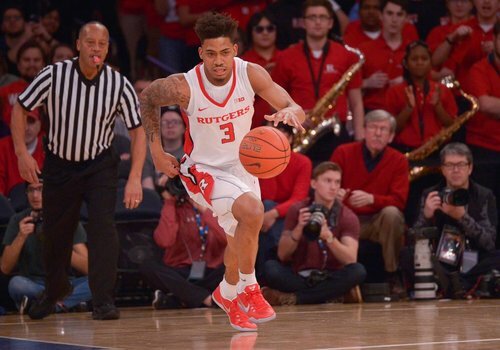 The last time Nigel didn't have a made basket in a game was Feb. 10, 2015 vs. Nebraska. Wisconsin now 2-for-23 from 3-point range. Nice sequence - Koenig to Happ. Down 7 under 3:00 to play. Happ (21) is the only Badgers player with more than three points. Happ has 21 of UW's 36 points. 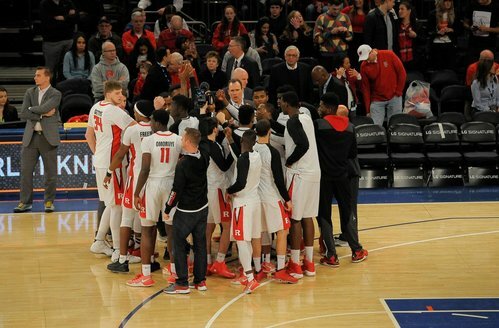 Rutgers up by five with 1:53 left. Ethan Happ finishes inside. He's got a game-high 21 points now. 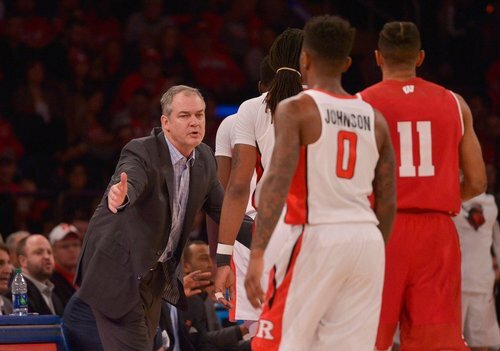 Rutgers' lead is down to 5. Timeout Wisconsin. RU has no answer for Happ. RU shooting 57% from FT line. The lead is down to 2! RU timeout. It's getting loud in here. Here come the #Badgers down the stretch. The lead is down to 2 with less than a minute to play. 56.2 sec left. RU ball up 42-40.